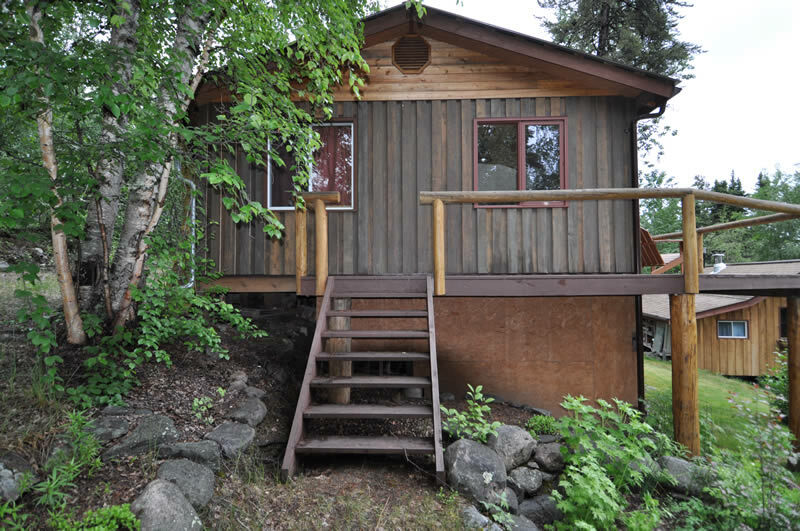 Forest House is set on the shore of a pristine lake in the McLennan Lake area of northern Saskatchewan, Canada about 150 km north of Lac la Ronge. 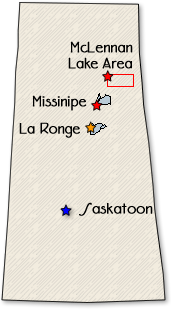 There are 4 main ways to travel from Saskatoon to Missinipe. 1. Flying is the nicest, quickest way to do it. 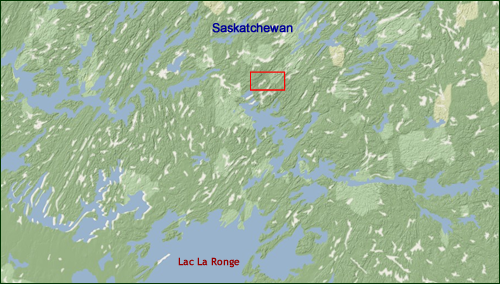 Transwest Air (306.665.2700) (www.transwestair.com) flies to La Ronge several times a day. 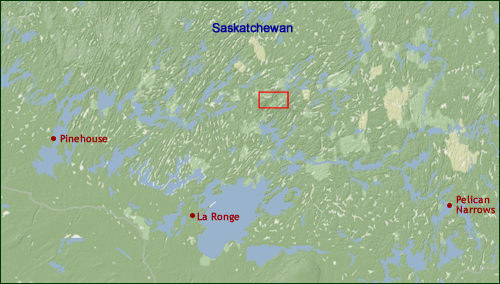 We can meet you at the La Ronge Airport and transport you to our base in Missinipe. 2. 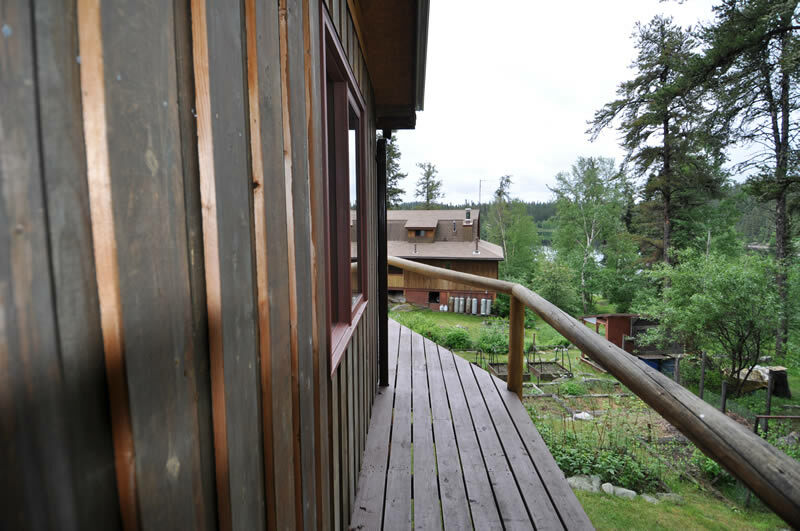 The bus is probably the least expensive way to get to La Ronge (depending on the size of your group). 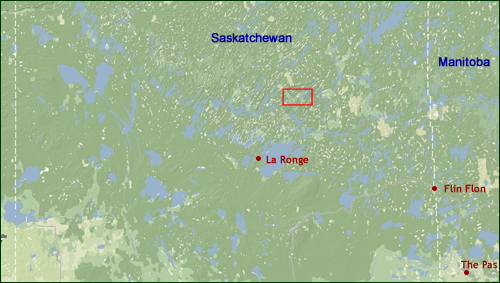 The Saskatchewan Transportation Company is the only bus line to La Ronge. They can be reached at 306.953.3700. We can meet you at the La Ronge Bus Depot and transport you to our base in Missinipe. 3. 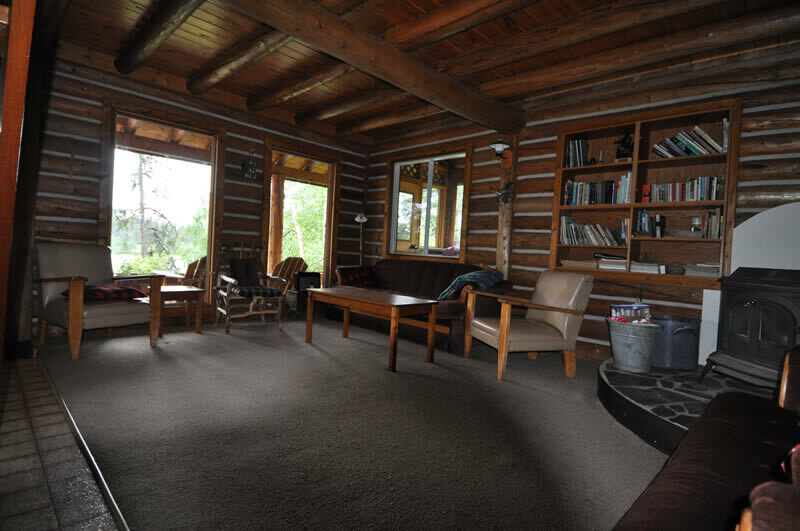 You can rent a car or van and drive to Missinipe. 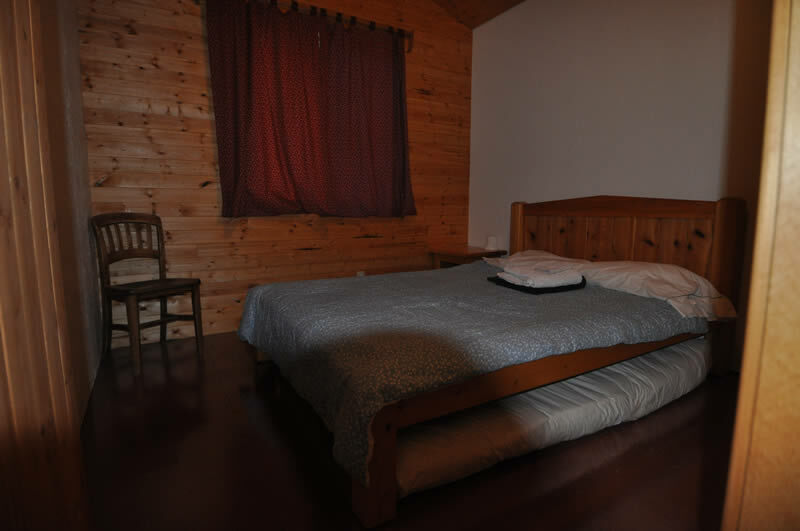 We generally rent from Budget in Saskatoon. Their phone number is 306.244.7925. There are so many interesting things to see along the way that the drive could end up taking many days. But it is normally a 6 hour drive. 4. 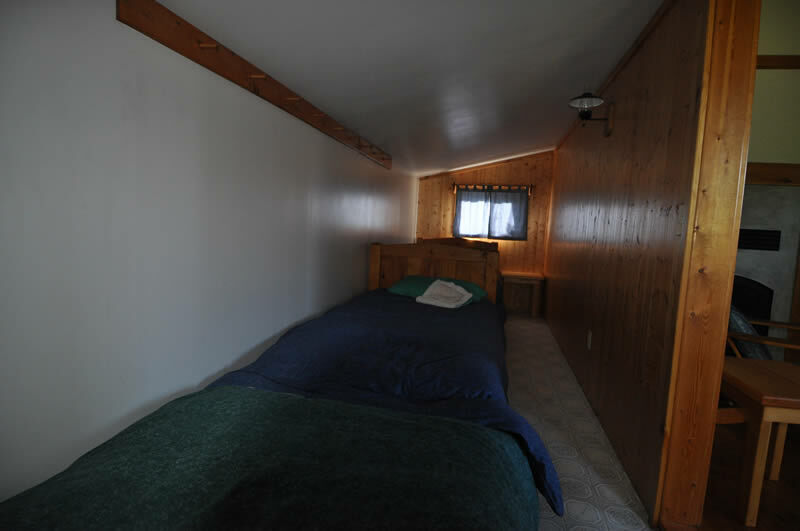 You can hire a van and driver to drive you and your group to Missinipe. This is great way to go. The driver is very much like a tour guide. The tour guide can talk to you about the changing landscape and points of interest as you travel. For a medium to large sized group it is quite economical. 5. 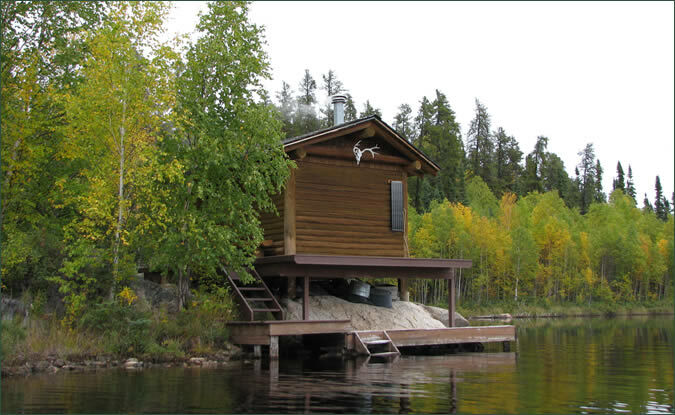 Fly to Forest House: Forest House is a short fifteen minute flight from the Churchill River canoe Outfitter's base camp in Missinipe. 6. 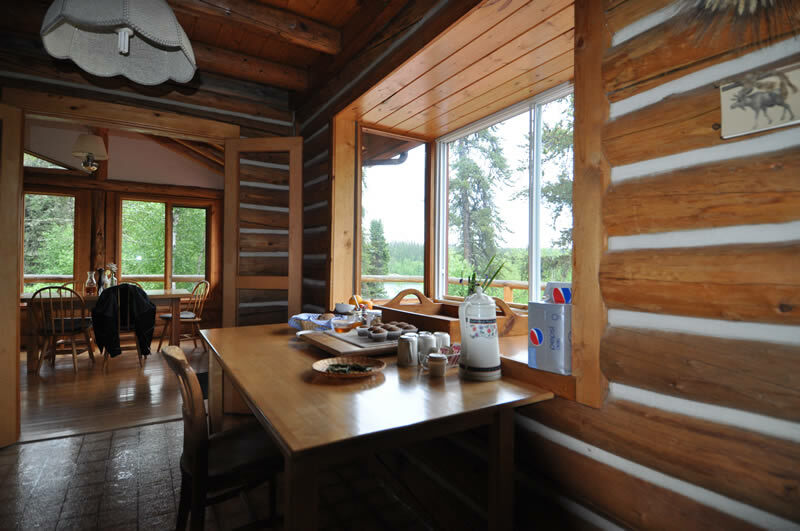 Paddle to Forest House: Forest House is a four hour paddle from McLennan Lake. This is a relaxing, easy, scenic-filled paddle, a very nice way to get to our lodge. 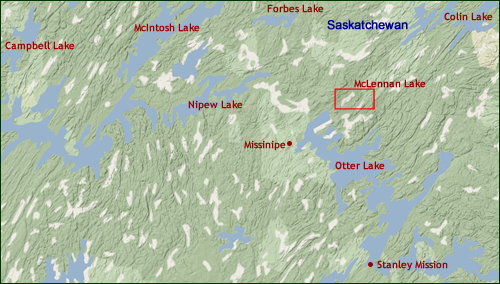 Our staff can transport you from our base camp in Missinipe to McLennan Lake, and completely outfit you for your paddle in. 7. 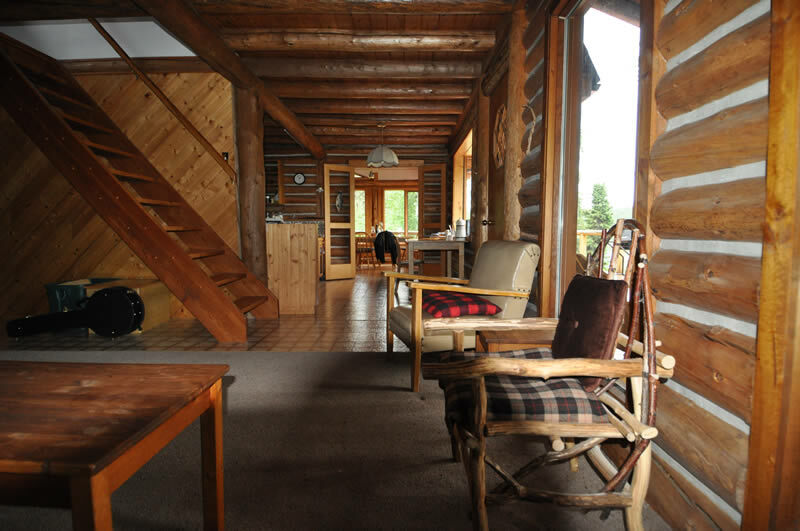 Winter - Ski or snowmobile into Forest House over scenic frozen lakes. 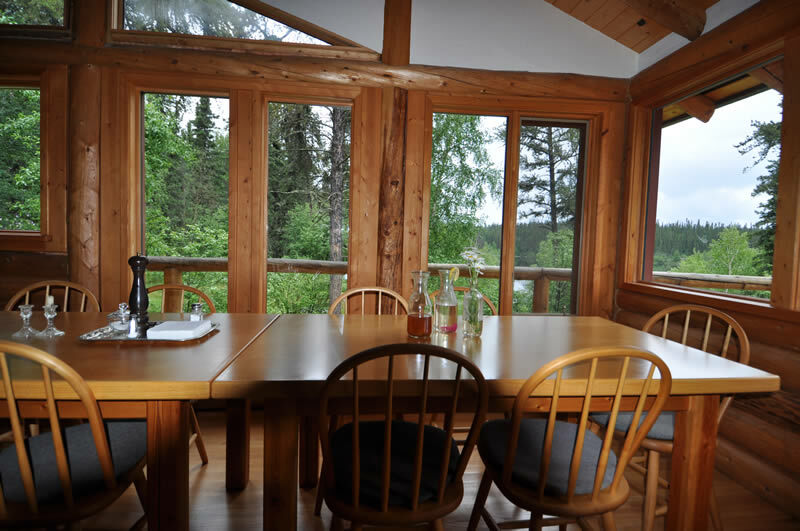 The main lodge at Forest House sits majestically on Precambrian rock, providing a spectacular view of the lake below. 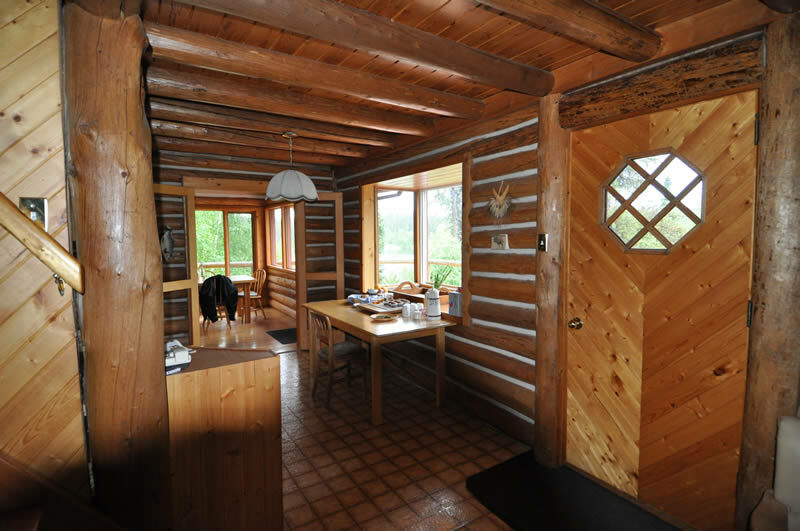 It has been built from logs carefully harvested from the surrounding woods. 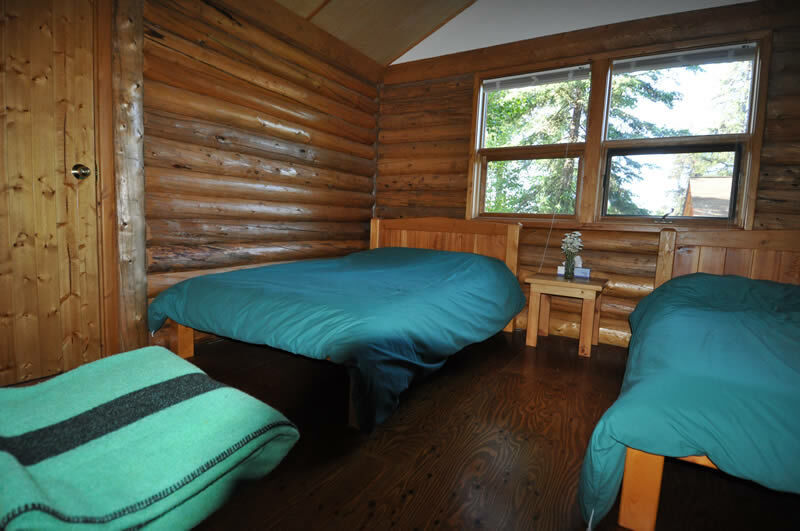 The top floor holds two comfortable bedrooms and a bathroom, complete with a composting toilet. 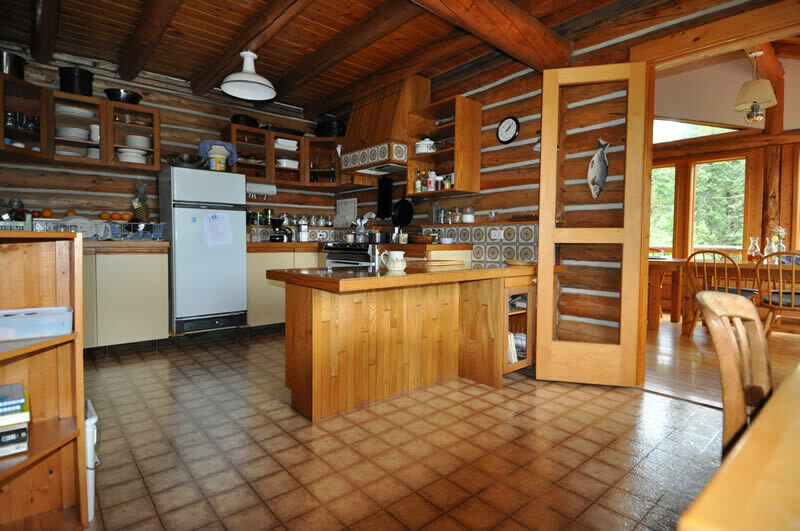 A well-appointed kitchen, a cozy living room/library, and a spacious dining room surrounded by windows overlooking the garden and the lake are located on the main floor. 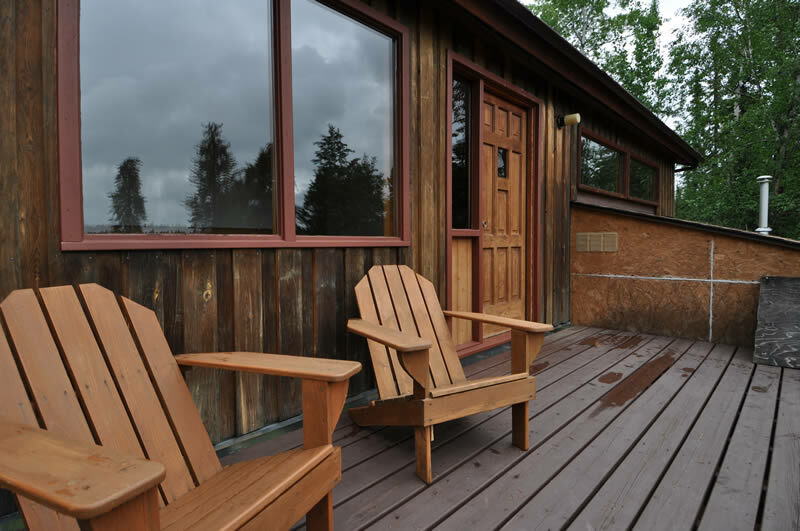 A large deck on the front of the lodge has also been built to take advantage of the sunrise and a view of the lake. 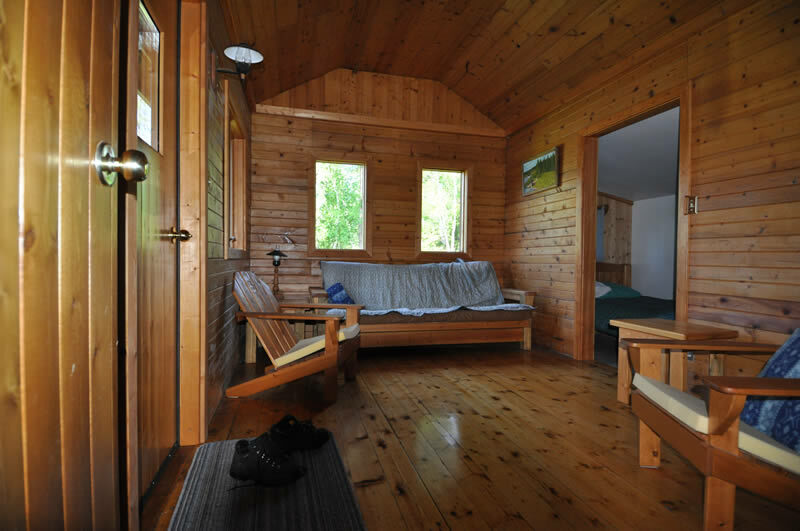 Forest House features two cabins, situated on a slope above the gardens and the main lodge. 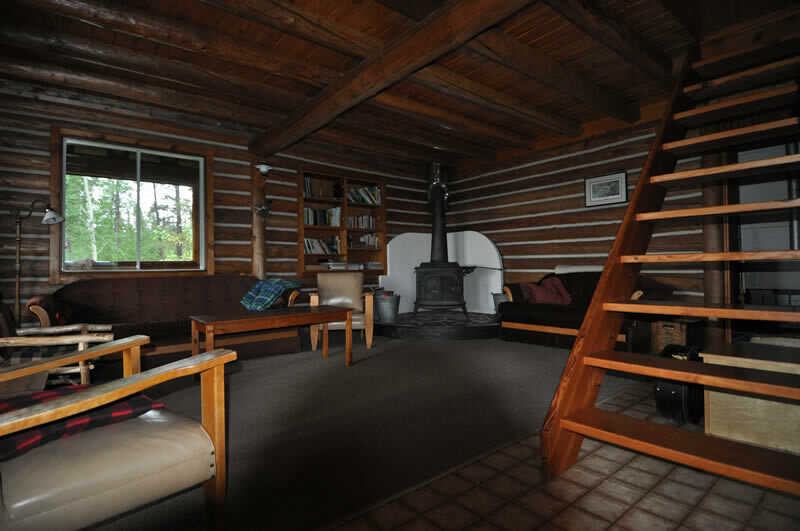 Like the lodge, the accommodations were constructed with locally-harvested materials, and maintain the philosophy of minimal impact on the Boreal forest. 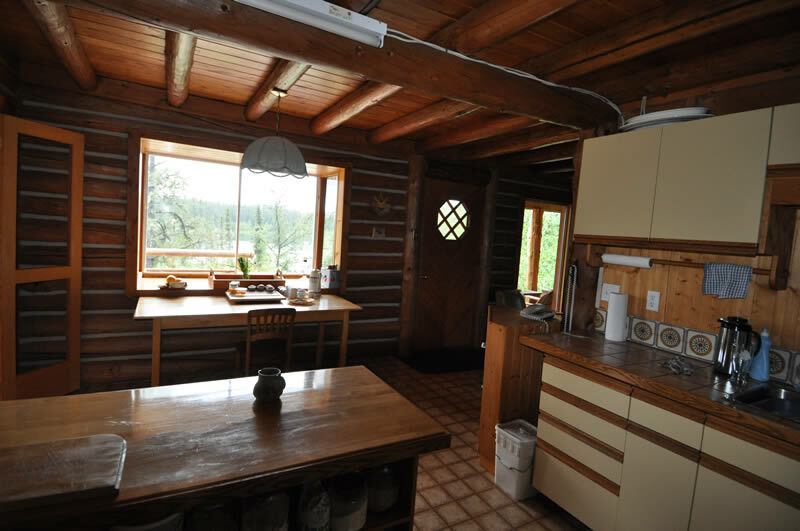 "Willow" is our largest cabin. 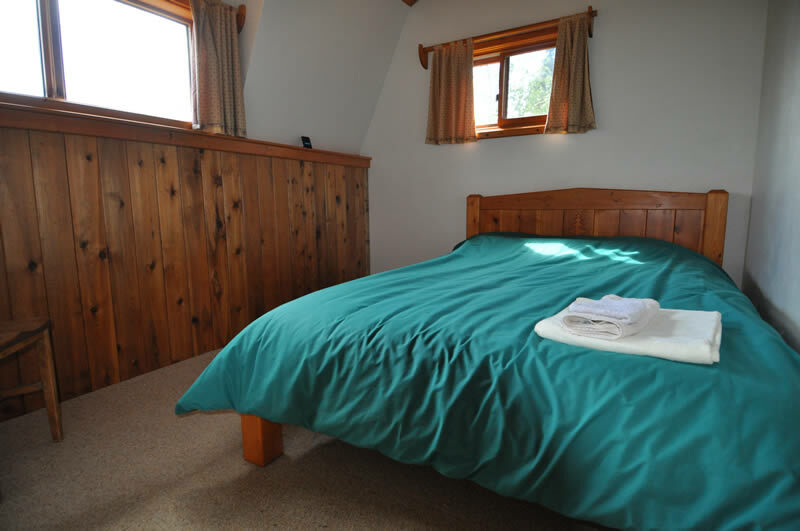 Its warm, comfortable bedrooms easily sleep up to seven adults. 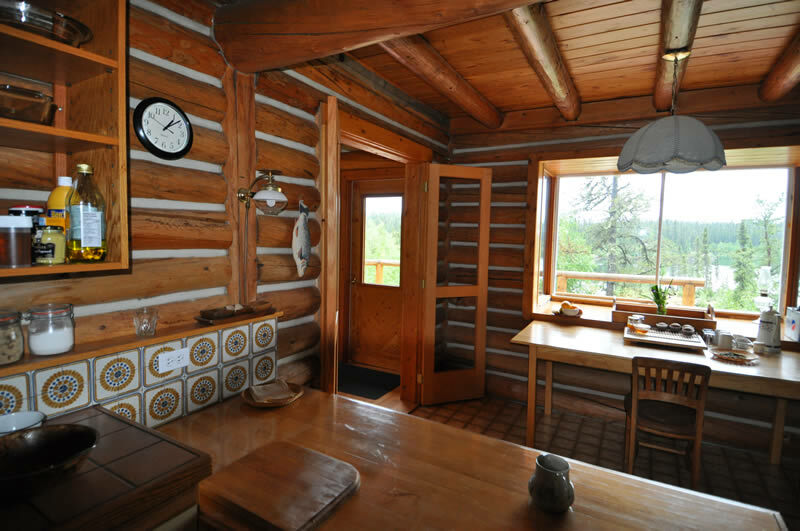 Complete with its own indoor washroom, "Willow" makes the perfect "home away from home." 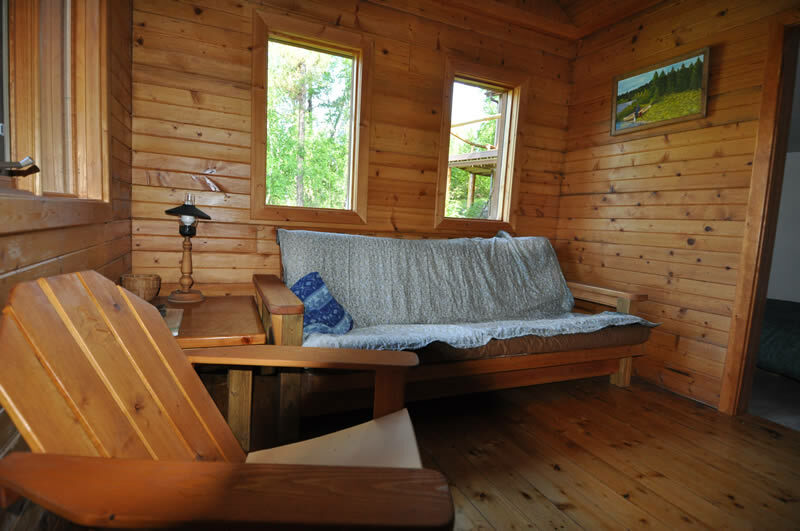 "Alder", although smaller than "Willow", offers comfort and space for four guests. 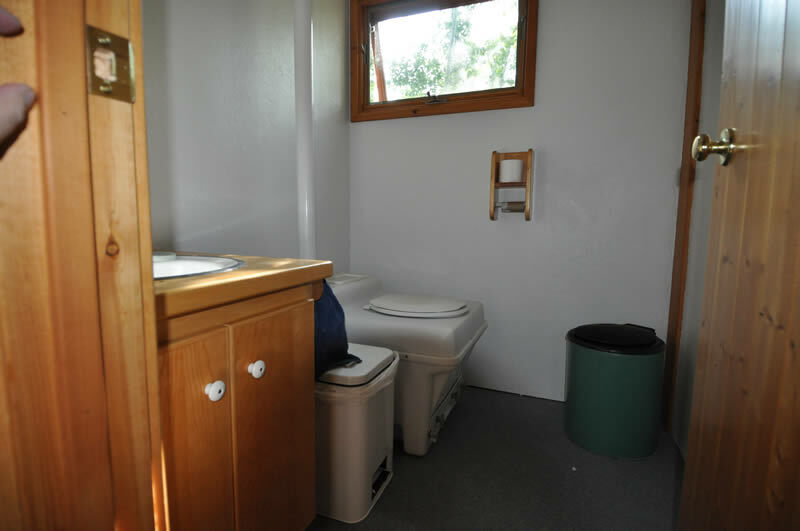 It also features an indoor washroom. 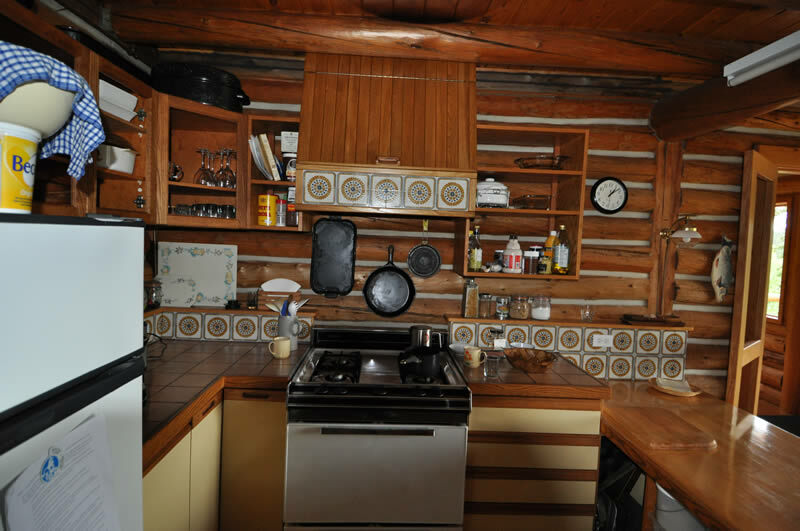 The Forest House experience is fully catered. 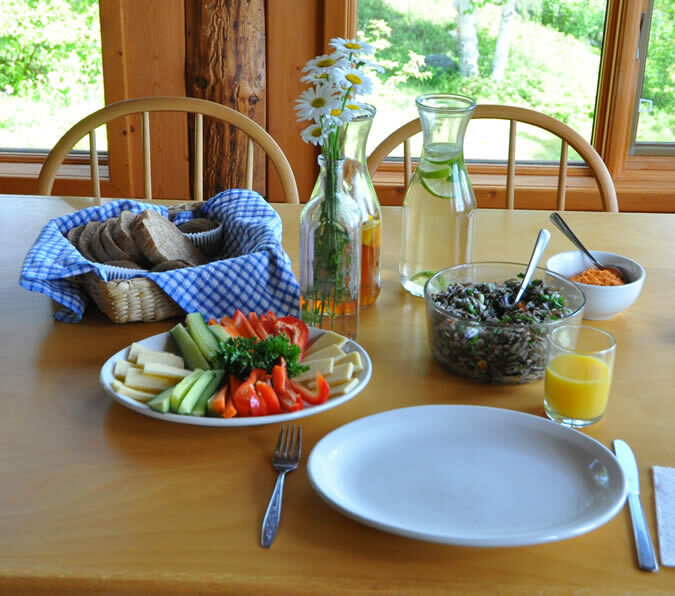 Fine meals are crafted using food grown in the garden as well as native produce taken from the boreal forest. Summertime sees our garden producing succulent completely organic fare. 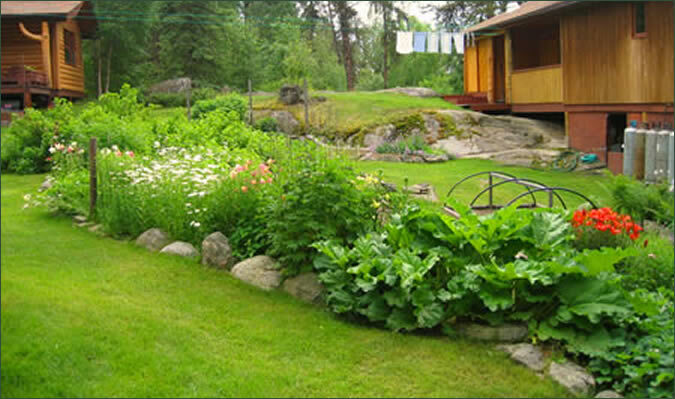 Freshness and the pure northern air and soil make everything we grow a culinary delight. Cooking courses are available on request. Forest House's gardens are truly unique. 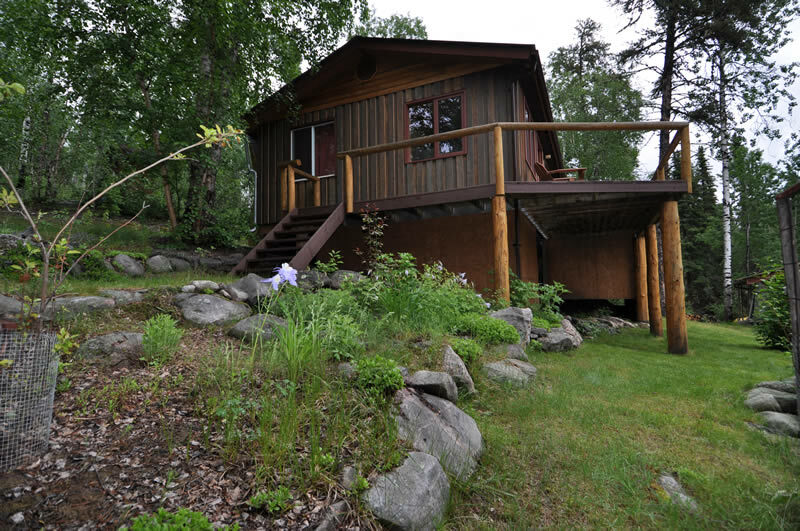 Imagine a lush garden of flowers and vegetables on the granite of the Canadian Shield at 55 degrees north! Three decades of lovingly creating soil, largely with compost, has produced an exceptionally fertile medium, nurturing prolific growth, despite the short growing season. 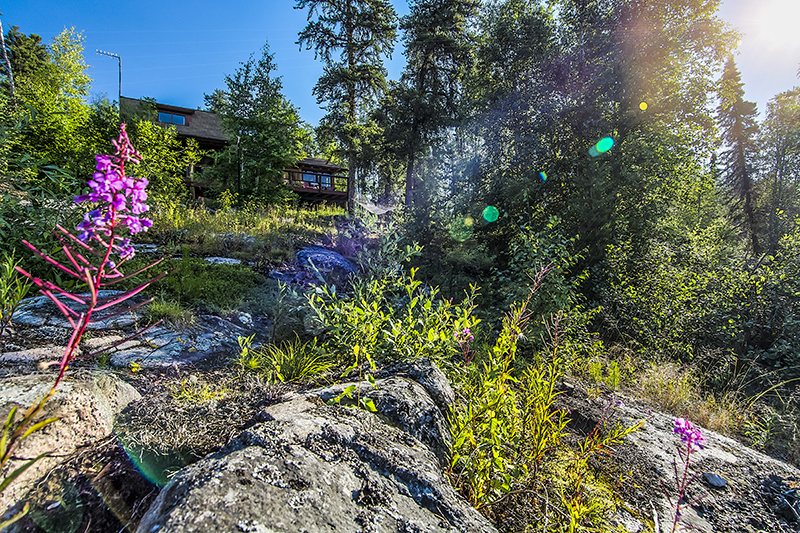 Colourful, fragrant blooms add a surreal touch of elegance to the natural grace of the northern forest. 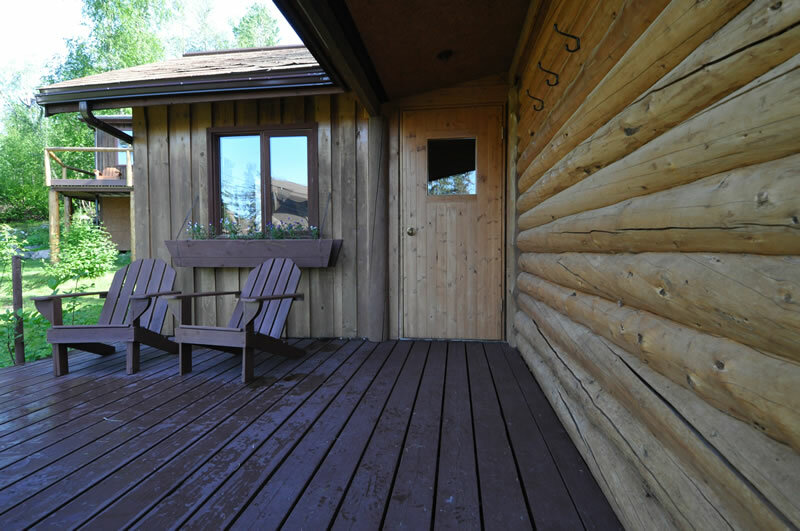 There are few things as invigorating as a hot, relaxing sauna, followed by a plunge into cool, refreshing waters. 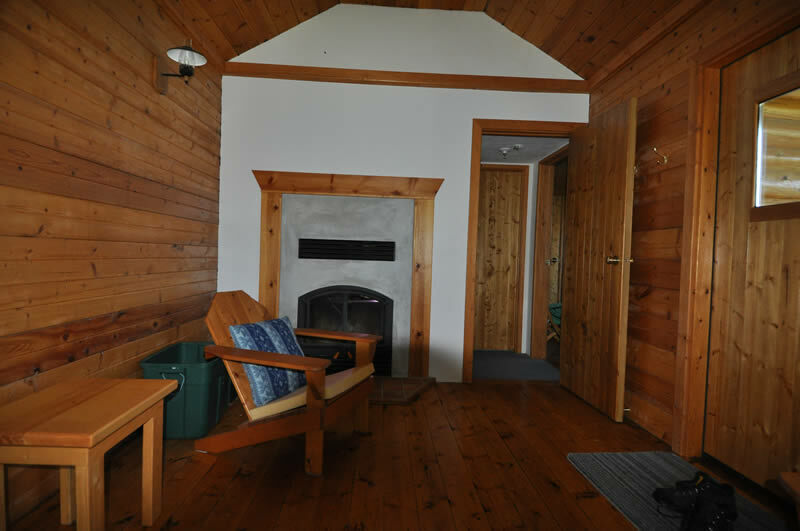 Forest House features its own handcrafted Sauna, located on the shore of the lake, just below the main lodge. 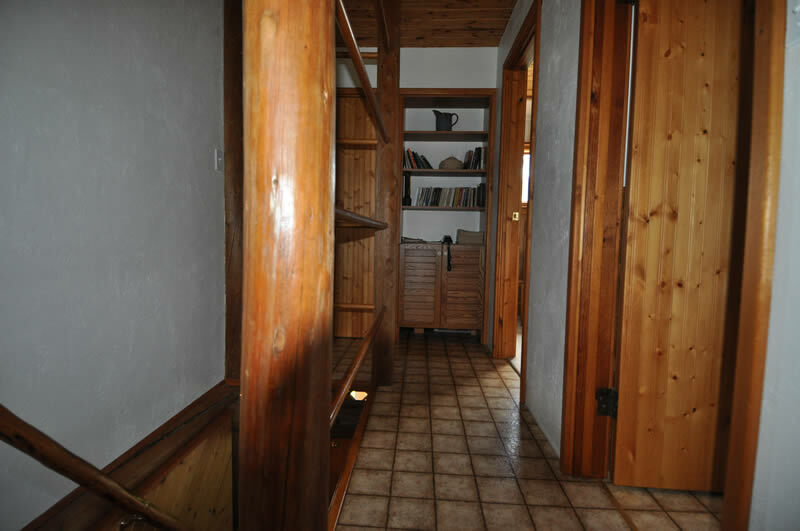 It is complete with a inside change room and shower. 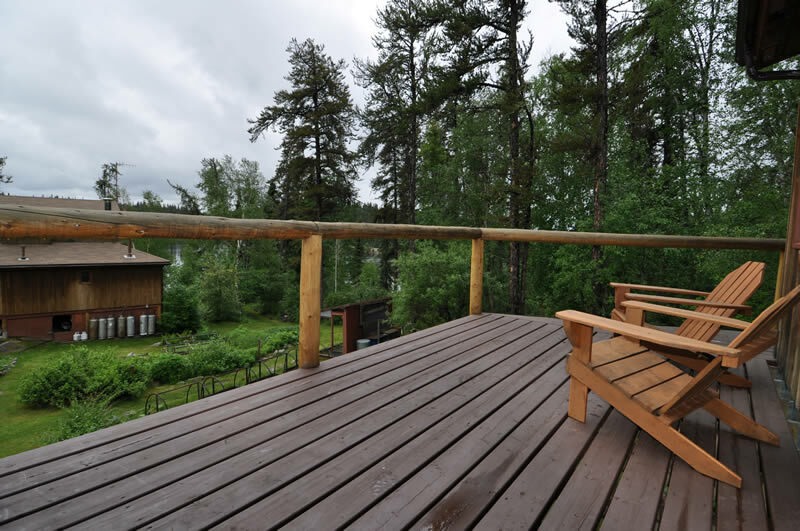 Outside, a deck leads you to the cooling waters of the lake. 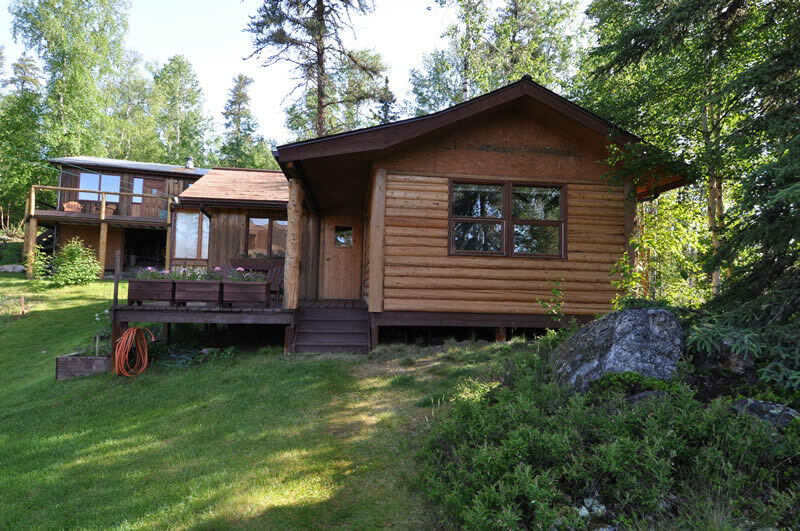 Aside from the garden in front of the lodge, the lake and shoreline have remained untouched. The cool, clear waters of the unnamed lake are pure and pristine. Offshore, a solitary island beckons. The lake is small and safe, a perfect place to pass the time exploring from a canoe. The Boreal forest holds many wonders, and the shoreline of our little lake is home to a host of them. 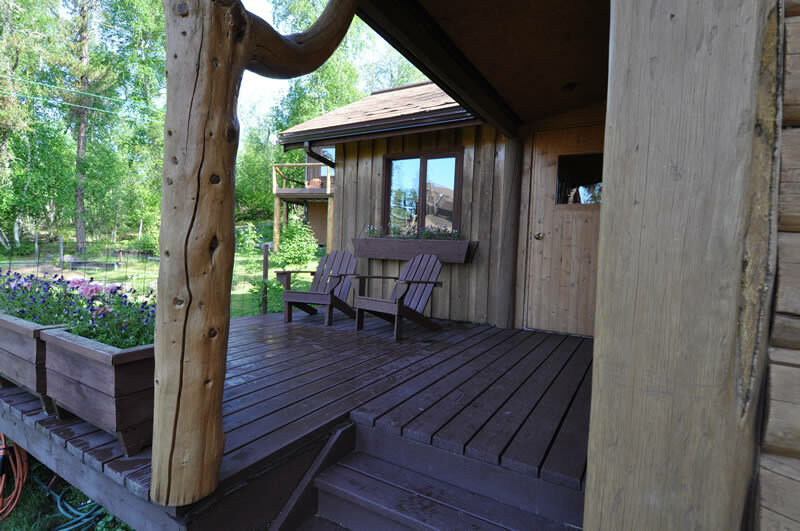 Aquatic life, native plants, flowers, and herbs, and a variety of wildlife can be enjoyed here. 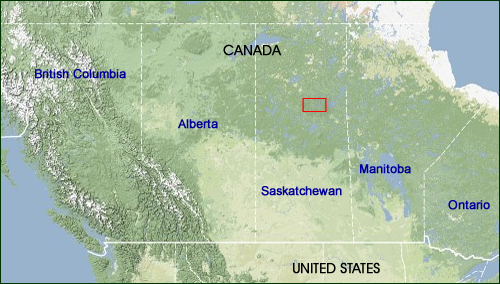 The "northern" forest is Canada's largest environmental community, stretching across Canada's north, in a band nearly one thousand kilometers wide. It is an integral part of the world's natural environment, with its diverse ecosystem playing a vital role in the earth's environmental balance. 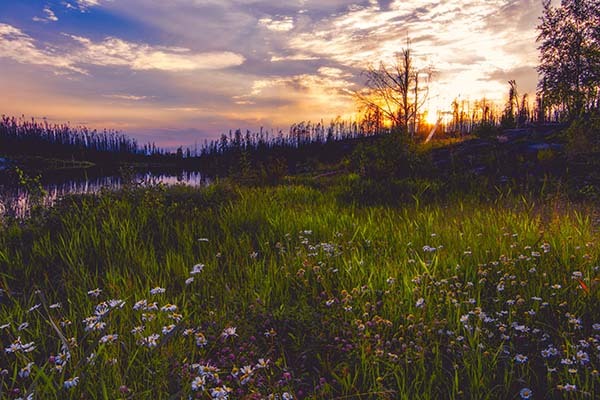 Characterized by a predominance of coniferous trees, the Boreal is a vibrant system of living organisms, plants, animals, insects and micro-organisms. 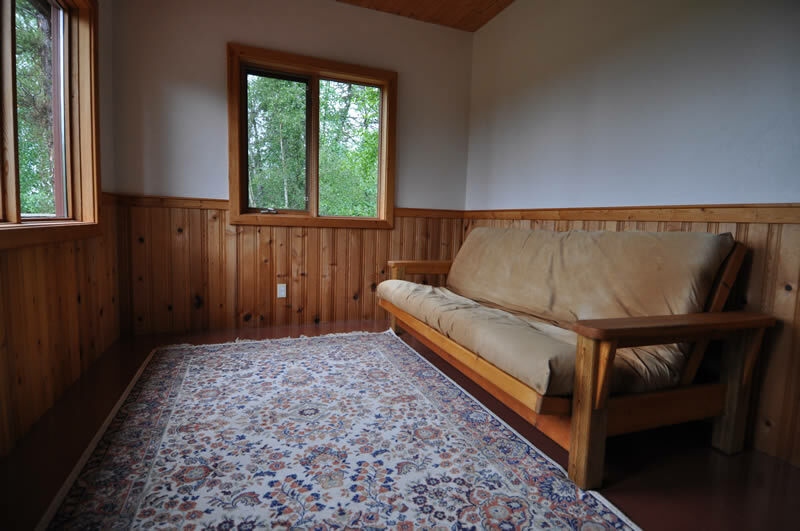 Its blanket is home to a number of tree species, such as spruce, fir, tamarack, pine, birch, poplar, willow, alder, and mountain ash. In addition, it nurtures literally thousands of sub-species, such as shrubs, herbs, mosses, lichens, and fungi. 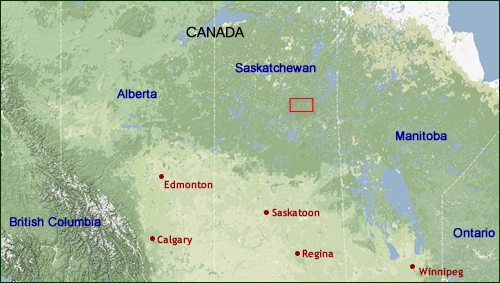 Wildlife is abundant in Saskatchewan's northern Boreal forest. Majestic bald eagles and osprey patrol the skies; black bears feast on berries in the summer sun; the mournful cry of the loon fills the quiet night air; woodland caribou, the moose and deer travel the forest in search of food; the elusive wolf and the cagey fox call the Boreal "home", as do beaver, mink, otter, and many other species. 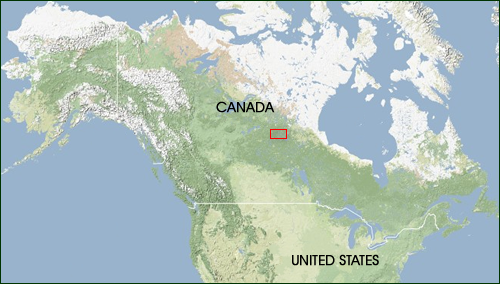 Summer sees the Boreal host over thirty percent of the world's songbirds, and millions of geese and ducks migrate to its bountiful waters. Water is everywhere in the northern forest. Thousands of lakes and rivers teem with prolific aquatic life, numerous species of fish, and aquatic plants. 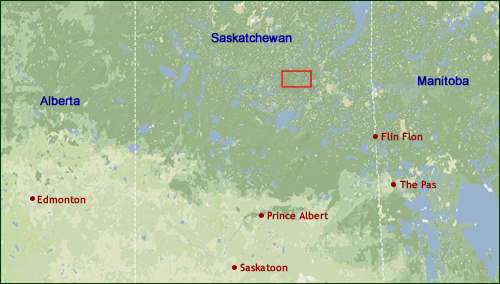 These waterways are vital to the delicate Eco-balance of the Boreal. 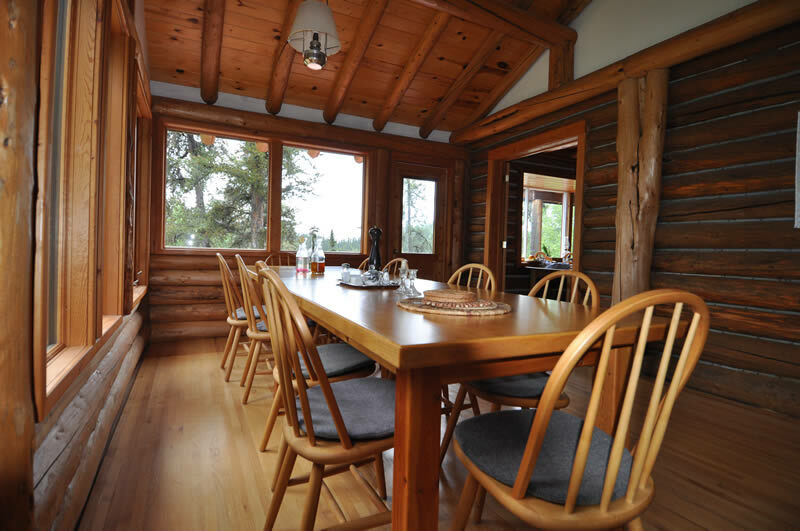 Forest House represents the state of the art for a low impact lifestyle in the boreal forest. 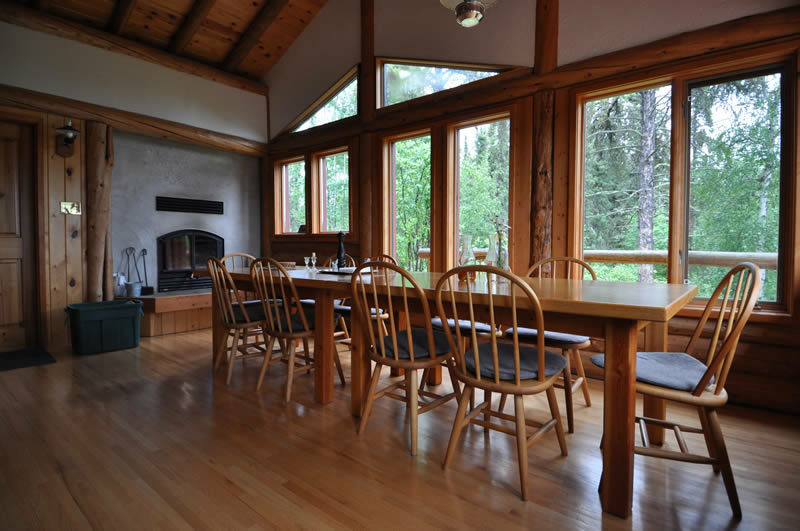 Everything about the design and construction of Forest House was done to create a place that integrates with its surroundings. 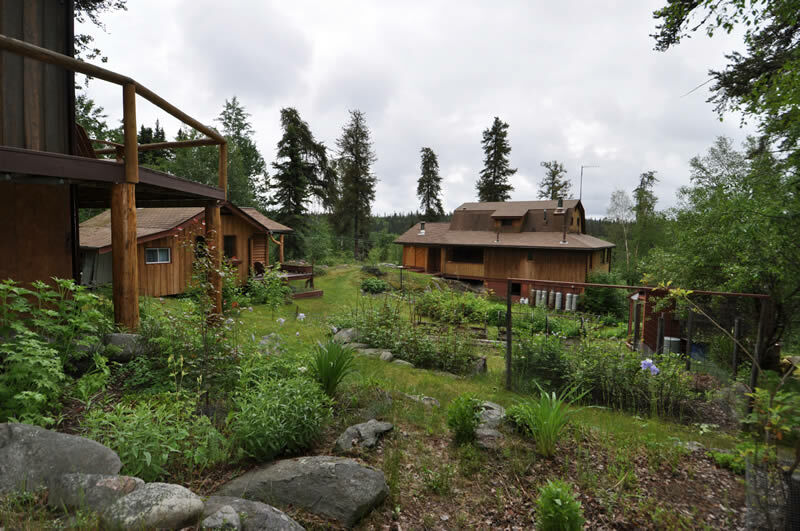 A large array of solar panels generates electricity for the lodge and cabins. Most of the building materials have been sourced nearby. The buildings have been designed to take advantage of the sun. Everything that can be composted is returned to the garden. 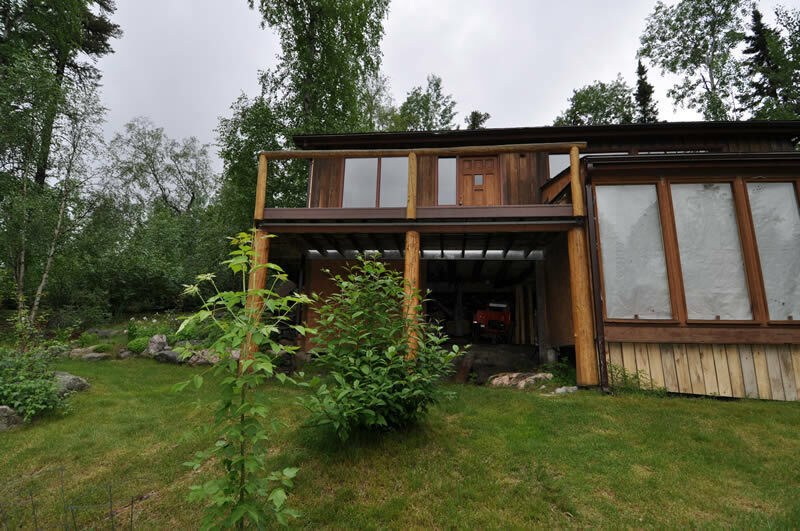 Forest House truly is a showcase of aesthetics and technology existing "as one" with the delicate and diverse northern boreal forest Eco-system.